Brighten your business or home with professional painting & refinishing. 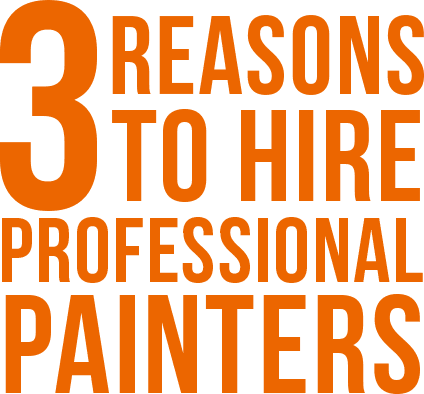 Painting is one of the quickest, most cost-effective ways to improve your property. While some small painting projects are easy DIY jobs, many are just too labor intensive to tackle by yourself. Making time to paint after work or over a weekend robs you of your precious free time, and the job inevitably takes much longer to finish than you anticipated. In most cases, the time you save by hiring a professional painter—and the quality of the work—is well worth the cost. K2 Painting has over 28 years of experience, so you can count on getting a quality paint job from us. We know what paints and coatings will work the best, and we’ve perfected the techniques of preparing surfaces correctly and applying them for a flawless, long-lasting paint job. Residential or commercial, interior or exterior, K2 Painting does great work. Check out our gallery of completed home and business painting projects. 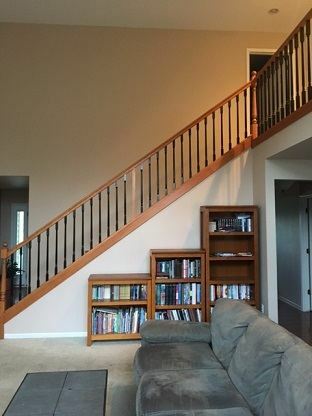 We refinished & painted the wooden railings as well as the walls and ceiling in this home. There’s a lot more to painting than a can of paint and a brush, especially on big projects. Depending on the scope of the job, you need ladders (possibly even scaffolding), safety equipment, rollers, drop cloths, brush cleaner and an arsenal of miscellaneous accessories to get the job done right. If you don’t have all the necessary equipment, a DIY painting project gets costly real quick. Then there’s the time it takes you to get the job done. What starts as a weekend project can end up taking months to get finished, and every day you dread it more. If you need wood staining or pressure washing done as part of the work, it becomes an even bigger investment of your time, energy and money. For jobs bigger than painting a small room in an office or one bedroom in a house, it’s worth hiring a pro. Not only do you avoid the expense of buying paint and painting equipment, but you won’t spend your free time prepping, painting, and cleaning up. 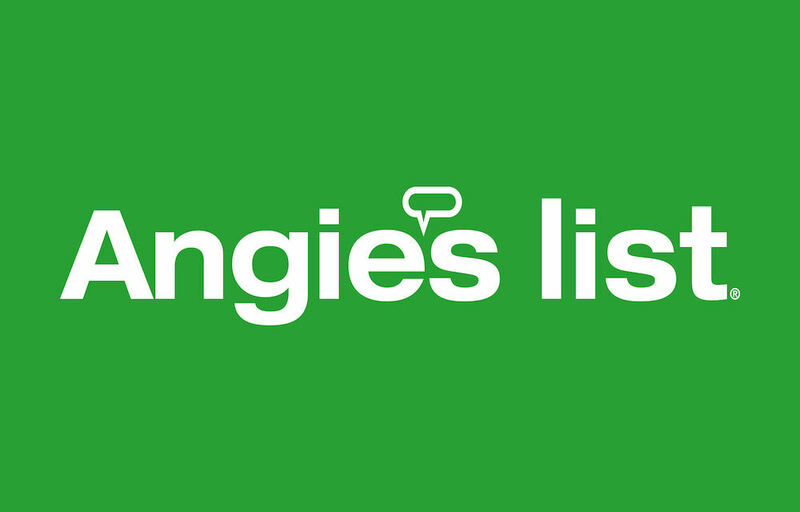 K2 Painting has earned solid reviews on Angie's List. Have you ever completed a painting project and then realized three weeks later you missed a spot or dripped paint on the floor? Worse yet, the paint starts peeling or bubbling up after a year? When you hire K2 Painting, you can count on the job being done right. We’re so confident in the quality of our work that we offer a 5-year satisfaction guarantee. If for any reason you’re not completely satisfied, we’ll come back and address any issues you bring to our attention. For the first 2 years of the guarantee, we'll fix anything, even if the issue was caused by the underlying material and has nothing to do with our work. During years 3-5 we will gladly fix any aspect of our work you're not satisfied with. We specialize in metal painting & coating for buildings and structures. 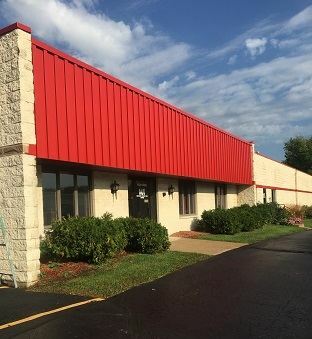 K2 Painting is one of the few painting companies in the Milwaukee area specializing in metal siding, structural metal, and metal roof painting. Our painters thoroughly prep metal exteriors and use only quality paints and coatings to ensure a lasting finish. The end result rivals the original factory-applied finish. 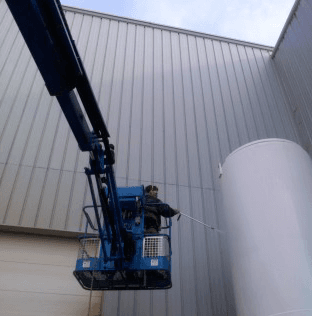 Learn more about our metal and industrial painting services and tank and silo painting services or contact us for more information. Need a fresh new look for your home or business? K2 Painting will come out to take a look at what you need done and provide you with a written estimate. To set up an appointment, contact us online or give us a call at 262-242-0449. K2 Painting’s service area covers all of the greater Milwaukee area including: downtown Milwaukee, Menomonee Falls, Mequon, Germantown, Sussex, Oak Creek, Franklin, Wauwatosa, West Allis, Delafield, Pewaukee, Brookfield, Waukesha and the surrounding cities.